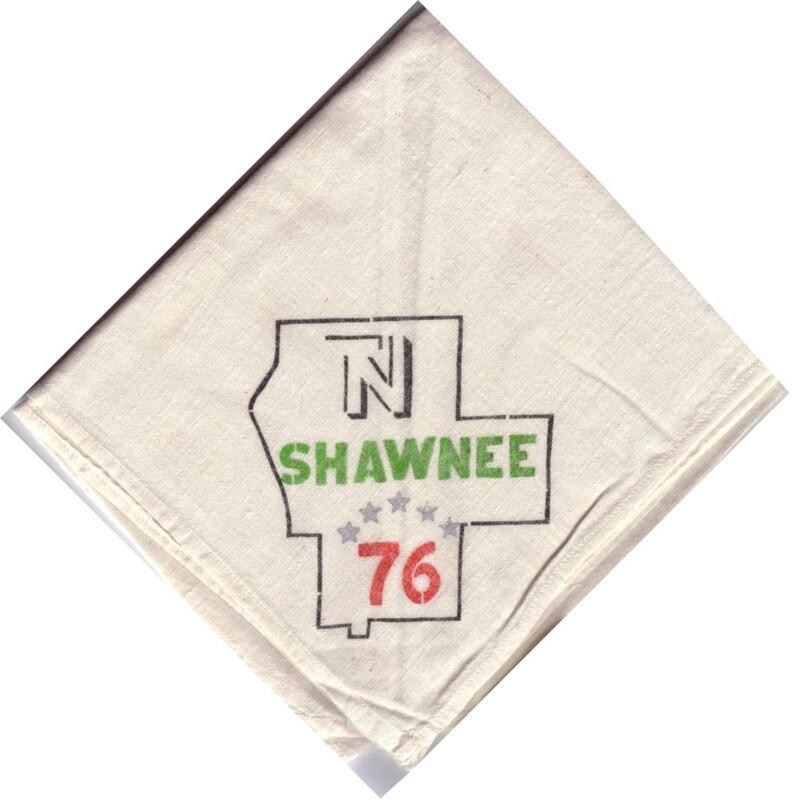 Big thanks to Jody T. for the images. As always, if you have images to share, please contact me. 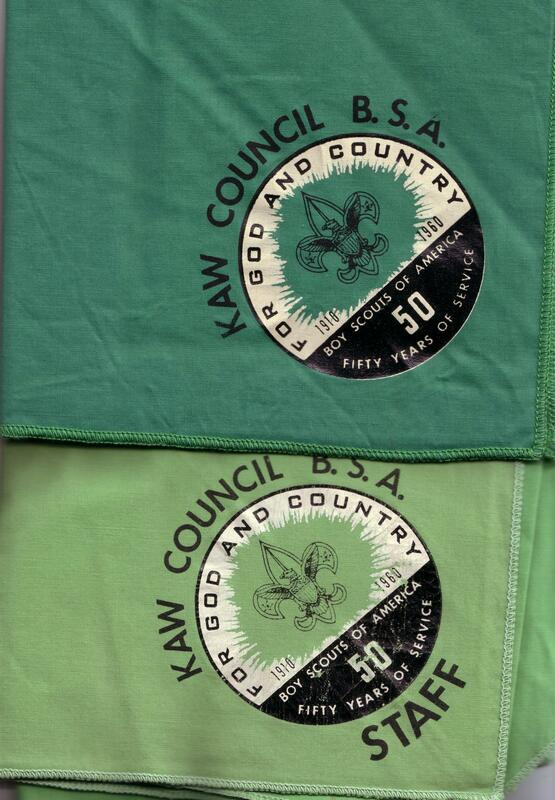 Interestingly, the 1960 Camp Naish summer camp staff neckerchief had a similar design with a few minor modifications: the green cloth is a lighter green and adds the text “Staff” below the 50th anniversary image. 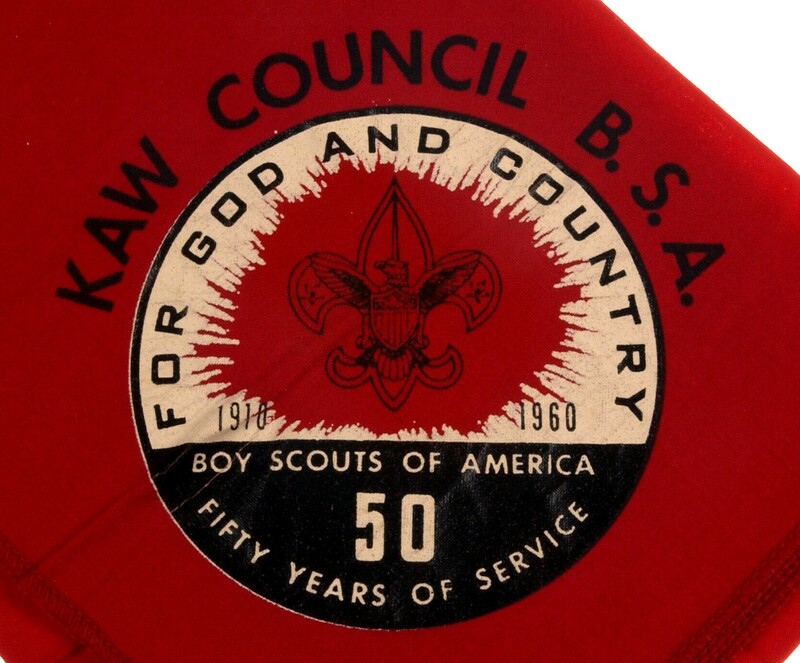 See below for a close up comparison. 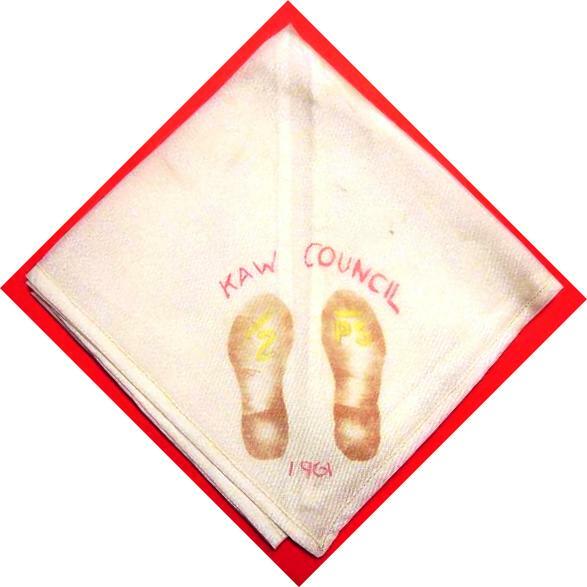 As always, if you have more images to add, please let me know! 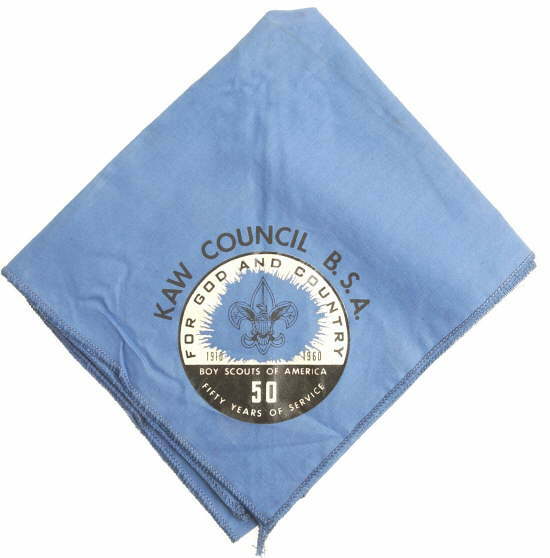 Neither neckerchief appears to be professionally made judging by the quality and definition in the design. 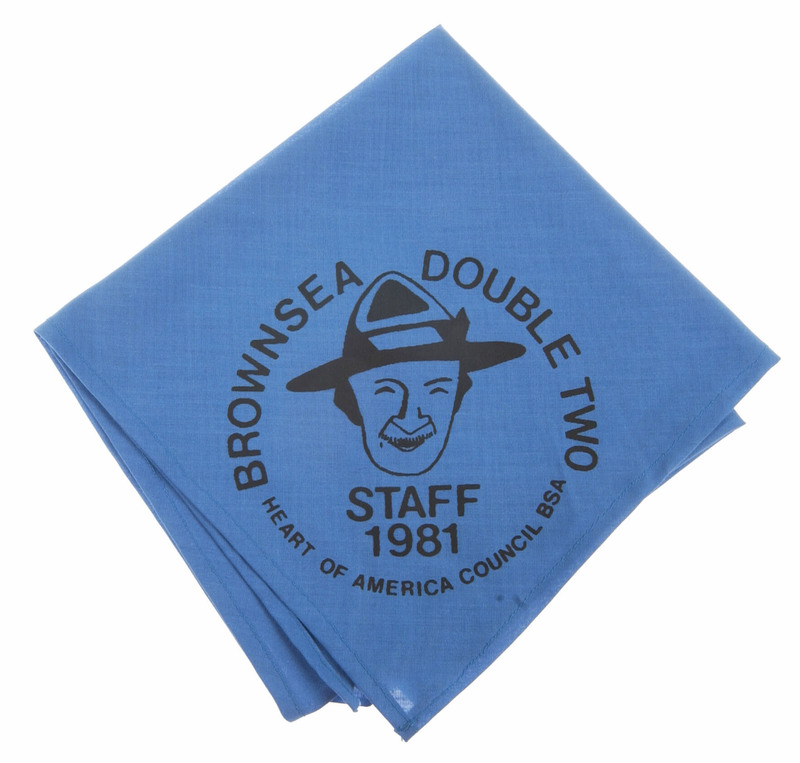 They both appear to be made of a muslin material. 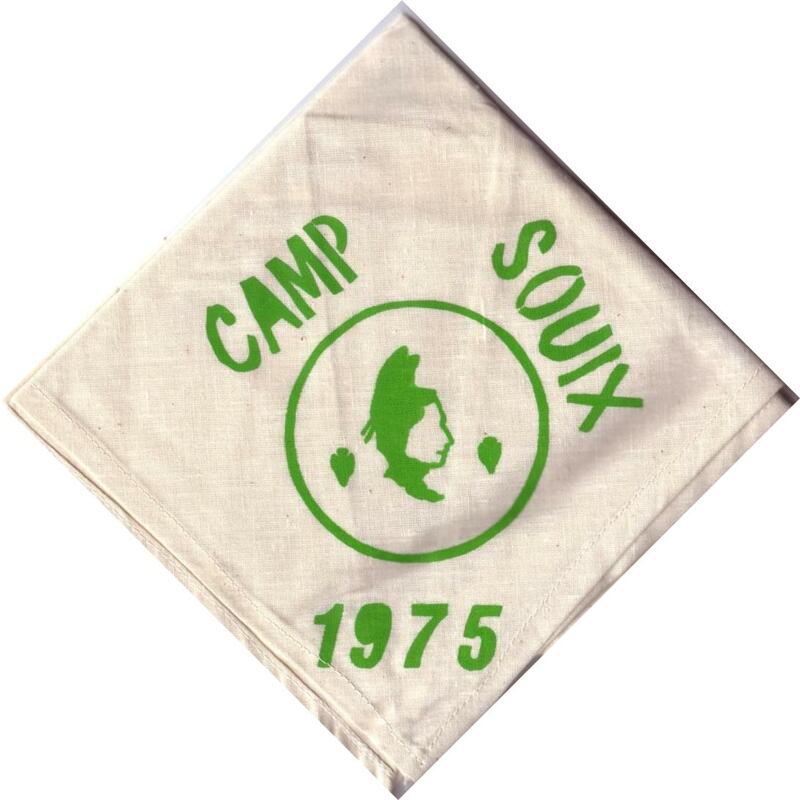 The 1975 neckerchief, complete with “Sioux” typo appears to be screen printed. 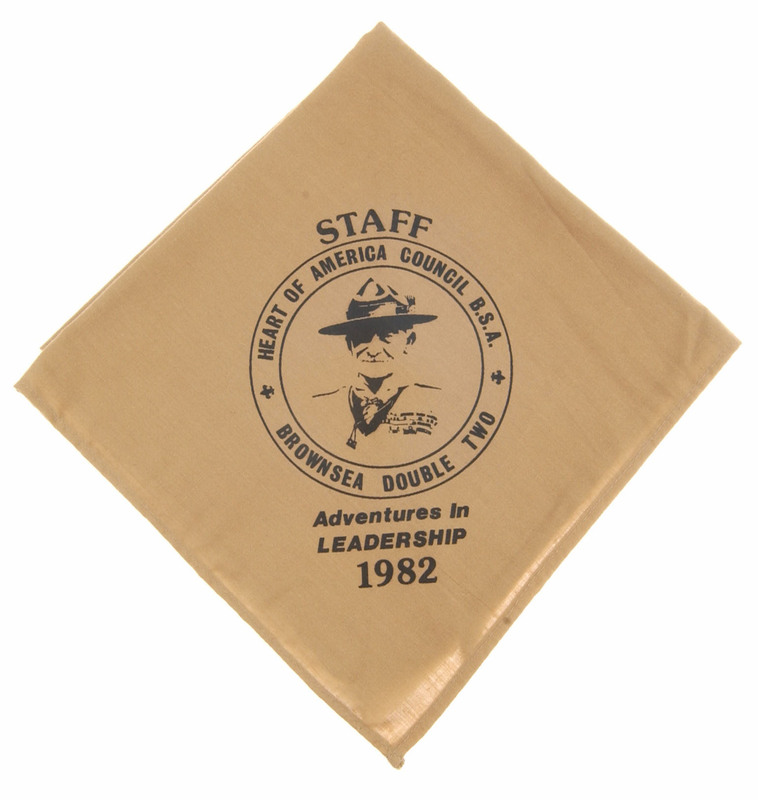 It is also not clear if these were made by a troop that camped in these sites or if all campsites had specific neckerchiefs during this time period. Have you seen something similar? 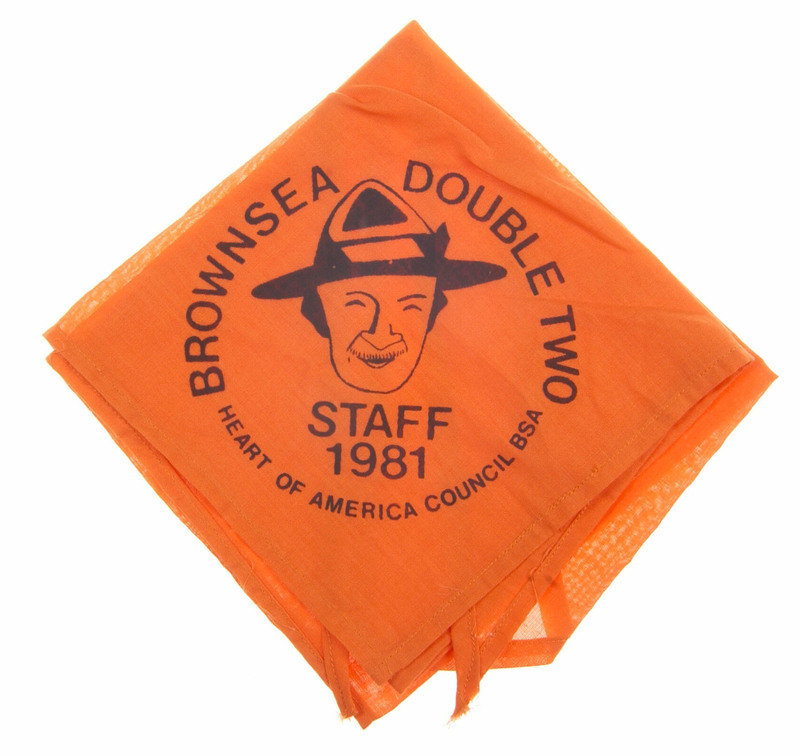 Do you remember getting one as a camper? 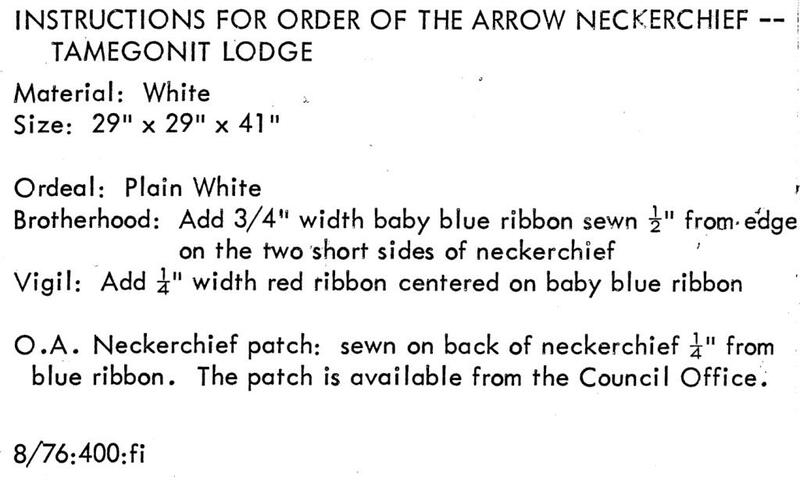 In looking at the final line of the directions, it appears that they were printed in August of 1976 (8/76), but the use of the white neckerchief dates back to the arrowhead neckerchiefs of the 1950s. 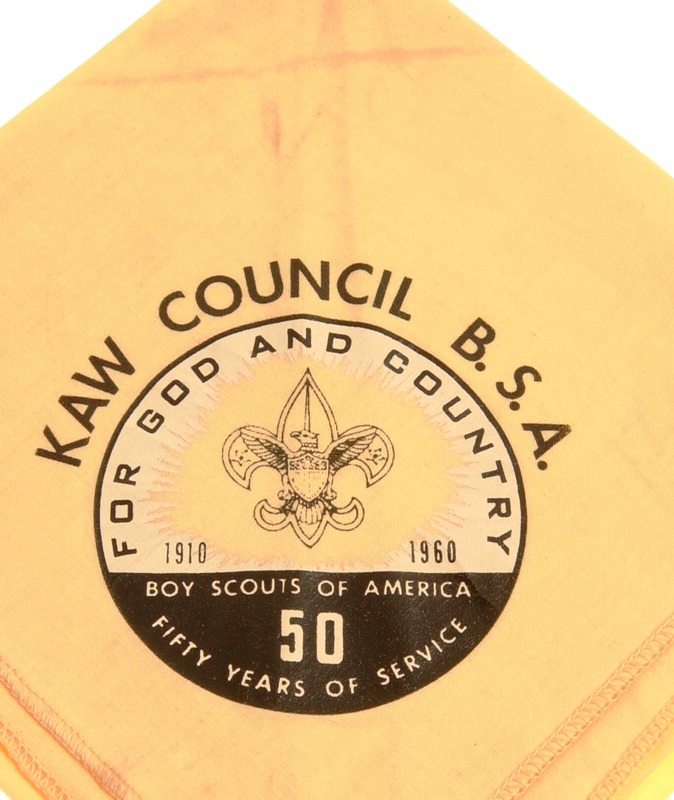 In my experience, the pie-shaped issues are most frequently found off of a neckerchief. 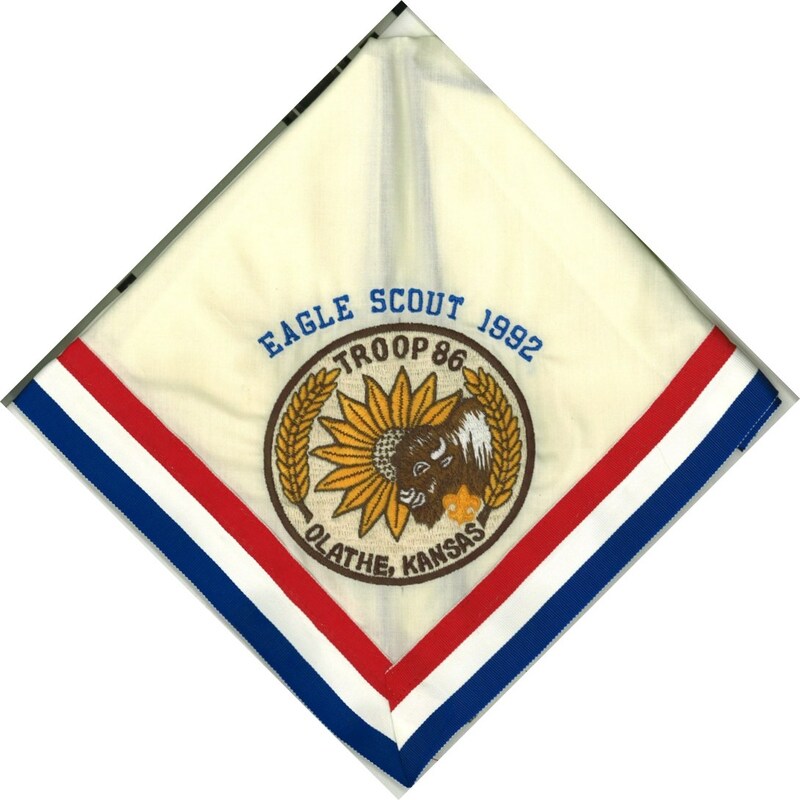 This could be due to the effort and skill set required to assemble a neckerchief. 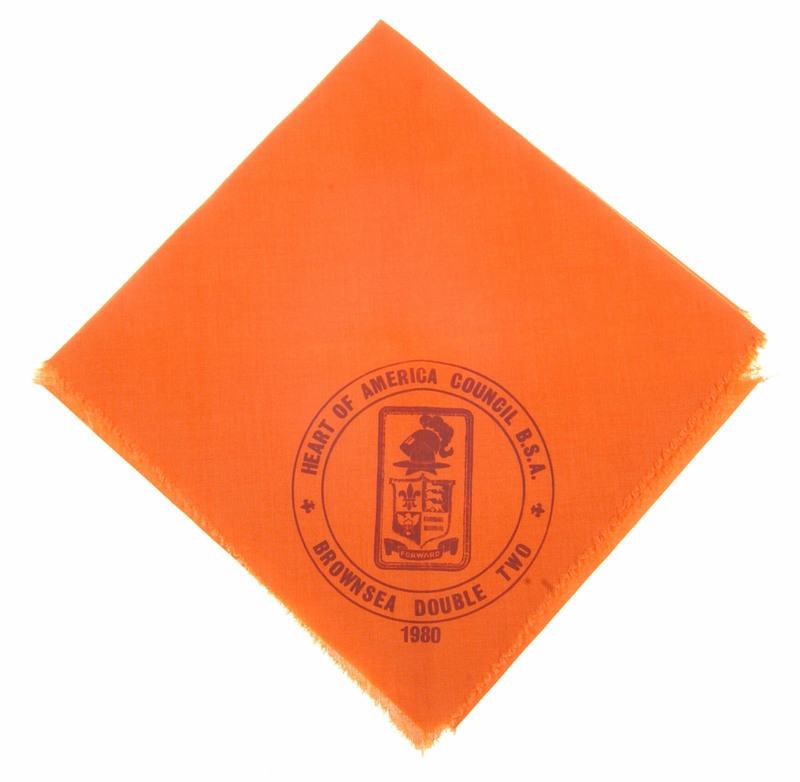 However, there were certainly several kind mothers who did accomplish this feat, resulting in a wide range of materials, ribbon color and texture variation. 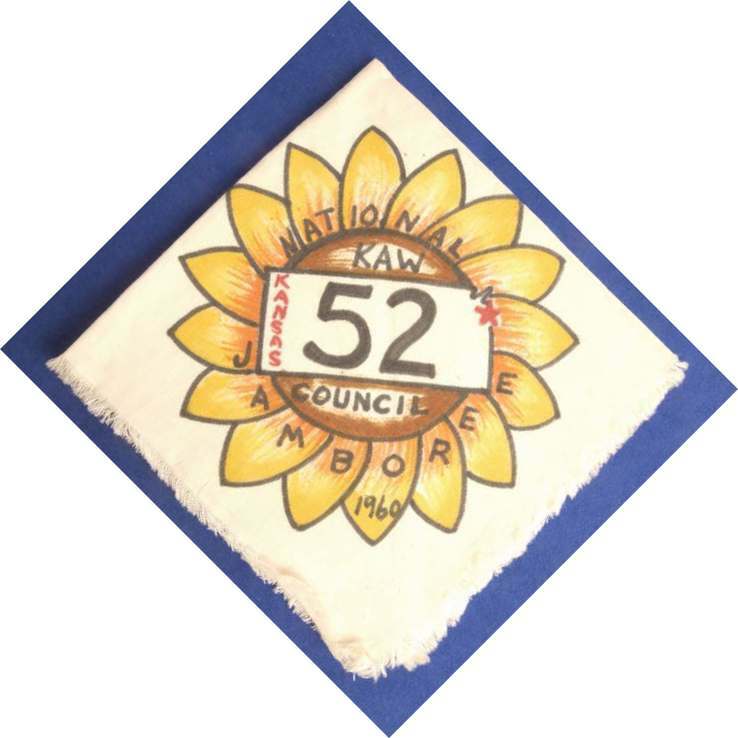 Given the variety of materials and construction techniques, the assembled neckerchief can resemble a piece of folk art and is a truly unique addition to a collection. 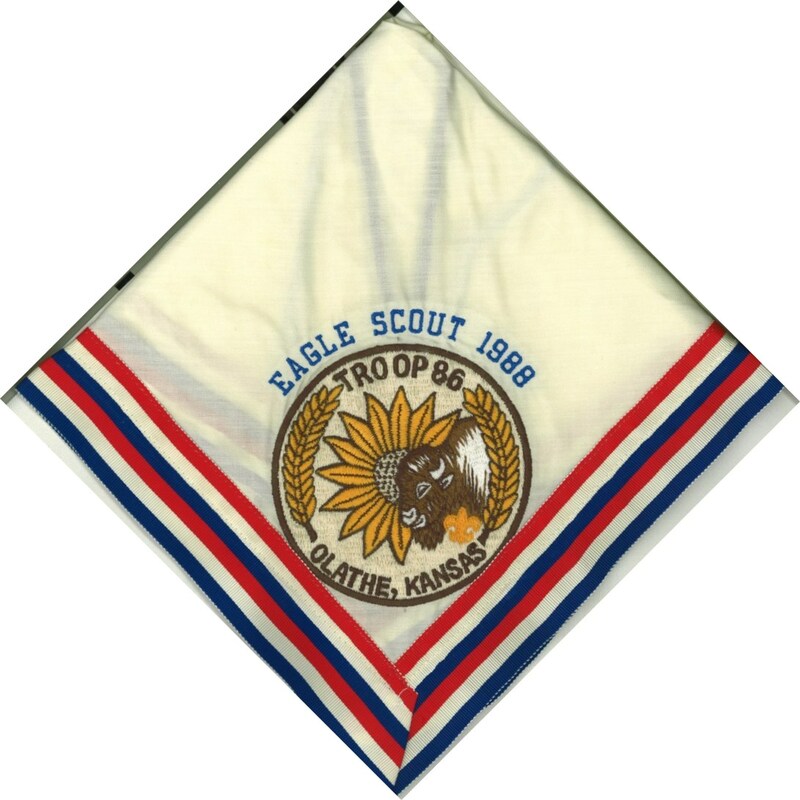 Shown below is the 1999 Fall Fellowship patch, which I’ve called P3. 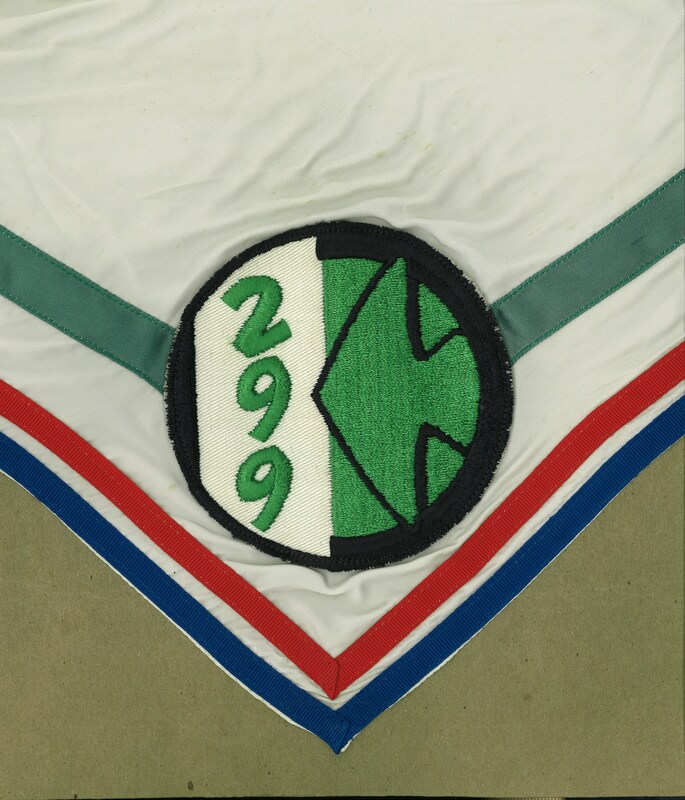 This patch was created to celebrate the 60thAnniversary of Tamegonit Lodge. 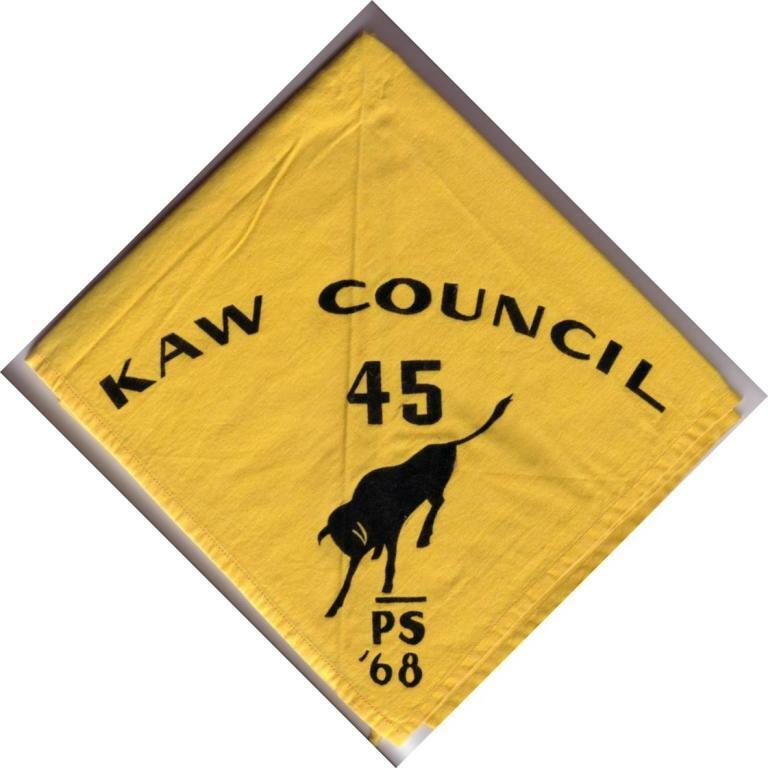 At first glance it would appear to be a P issue. In reality it is an event issue, but is included in this book for reference. 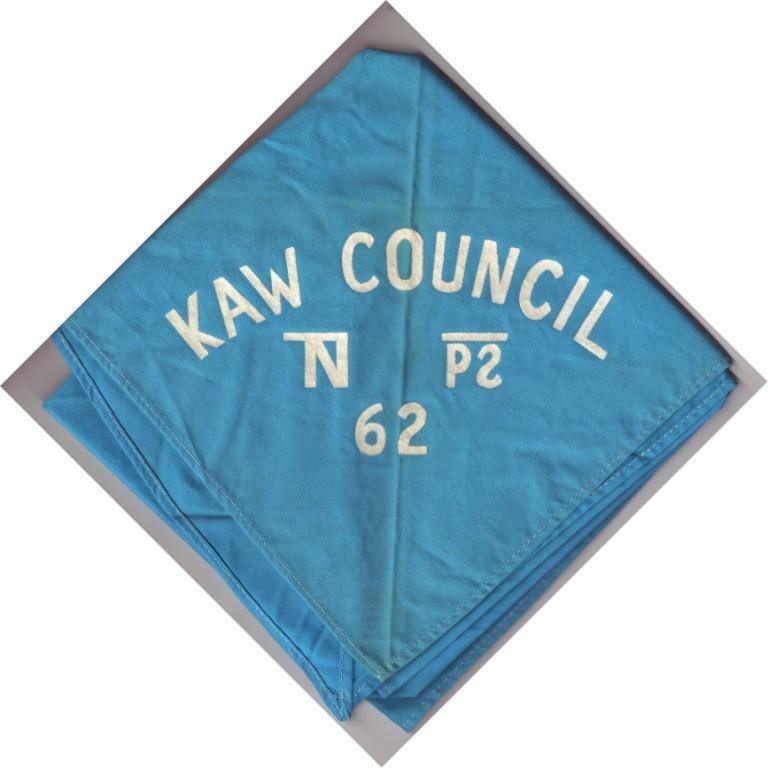 To celebrate the lodge’s 60th Anniversary, the author created a neckerchief following the 1974 instructions for the older P1 and P2 patches.